On this page you will find articles writen by world famous Nick Pope. 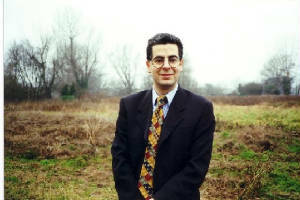 Nick Pope used to run the British Government's UFO project at the Ministry of Defence. Initially sceptical, his investigation of newly reported UFO incidents and access to government files on the subject soon convinced him that the phenomenon raised important national security issues, especially when the witnesses were military pilots or where UFOs were tracked on radar. Nick also looked into other mysteries such as alien abductions and crop circles. He now continues his research in a private capacity and is recognised as a leading authority on UFOs and the unexplained. He has done extensive media work, including appearances on Newsnight and Radio 4's Today programme. He has lectured all around the world and acted as consultant on several TV documentaries.